Opening with Buffy and the Scoobies battling a group of vampires (big surprise there) only to stumble upon a nest and in a rare moment for the group decide that they might actually need some back up. But who do you call you deal with such an issue? Riley and the Initiative? Spike? No for a job like this you need former high school nerd turned man of action Jonathan Levinson! Okay, Okay I will spoil the surprise right off as this is in fact an alternative reality where Jonathan is the centre of the universe and everything to everyone thanks to recently discovering magic in the wake of his attempted suicide last season in “Earshot”. Now in this alternative reality he’s responsible for many of Buffy’s achievements over the previous seasons such as blowing up the mayor and being awarded the “Class Protector Award” and while she might still be the Slayer it would seem that her powers are weakened compared to his. On top of this he’s also a skilled marksman, chess player let alone a tactical consultant for the Initiative as he’s shown identifying the sole weakness of Adam. 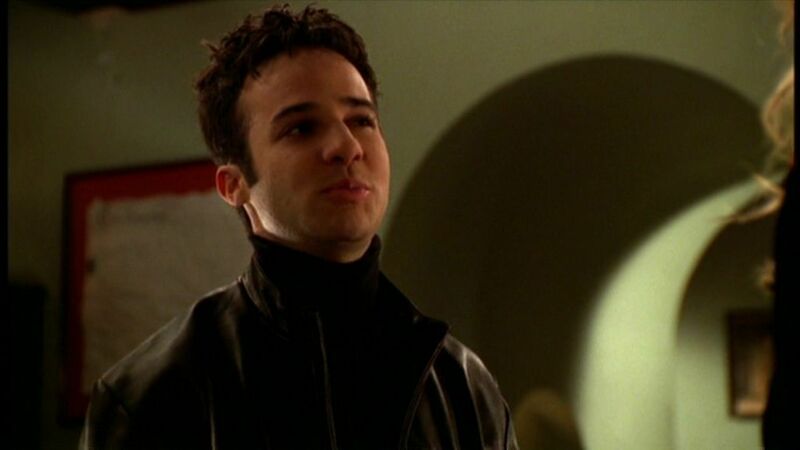 I have to wonder though when Danny Strong was cast in the role if he ever thought that what started as a bit player would evolve into such an memorable character in the show, let alone one with his own episode centred around him. Thankfully Strong is able to expand the character into this fantastical version of himself without the laundry list of talents which lets not forget see him inventing the internet, playing the lead in “The Matrix” and having his own cereal “Johnny O’s” and somehow not make him seem like a complete douche. 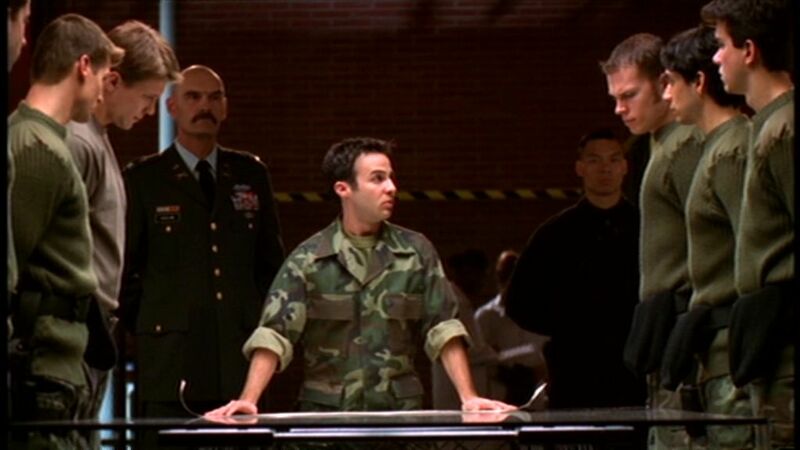 Still its great that at the finale the writers tease out the idea that he might kill Buffy in order to keep this fantasy reality the way it is, only for him to ultimately do the right thing. Of course this being Sunnydale and especially with magic being involved there has to be a serious downside which comes in the form of a rogue demon that acts to provide the evil to balance out all the good which Jonathan is getting from the situation he has created. It’s also through said demon that Tara really joins the Scoobies as she is ambushed by the demon leaving her to use her own magical abilities to escape. While it might seem like a weird episode to have at this point in the series especially when the focus really should be on building Adam as the big evil of the season, but yet it still manages to do this as while his appearance might be brief we still end up learning a lot about him as he’s the only one not effected by Jonathan’s spell as he highlights to one of his vampire minions that he is able to see every molecule of the world around him. Thanks to Jonathan’s tactical briefing with the Initiative we discover that he is essentially immortal thanks to his Uranium powered heart. The whole episode comes with a great sense of fun to it, not only as we see Jonathan performing ever more ridiculous acts with ease but also from the subtle jokes and comments hidden throughout the episodes both in the background aswell as the throwaway comments Buffy and various Scooby members make. 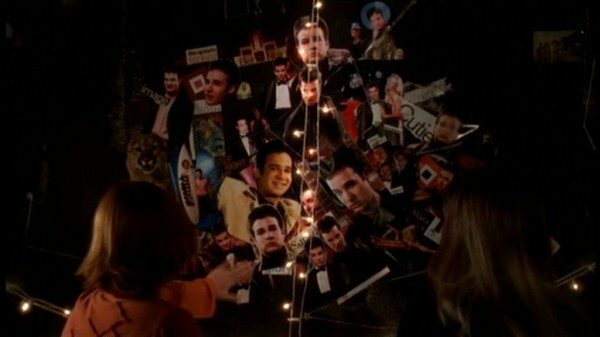 Equally amusing to see is how most of the girls fawn over him with even Willow and Tara seemingly not immune to his charms as they are build a shrine to him while Anya it would seem is the world’s biggest collector of Jonathan merchandise. A fun if bafflingly overlooked episode more so when it comes to fans bashing this season as this is unquestionably a real gem of an episode, which takes a simple idea and plays it perfectly, while somehow not making it a throwaway episode as it might first seem.